Sometimes the Toky integration with Pipedrive can change into an error state, in that case Toky will disconnect the account and will asked to reconnect. If that is the case, to reconnect the integration, you will only need to click on "Connect" button and follow the steps. Your Toky account must have admin rights. You should be logged in into a Pipedrive account in your browser. 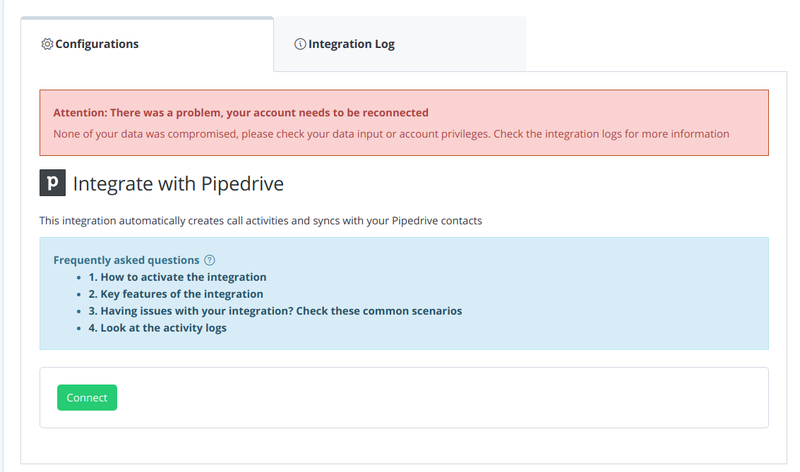 The Pipedrive account must have admin rights, this is a requirement to reconnect the integration.